Funny the title of this blog is also the title of a sixties song I remember by the late Andy Williams. And we are of course, nearly at the Big Two Five. Not sure if you’re all sorted present and food-wise but I always think by the time we’ve reached Christmas Eve what I haven’t got I won’t miss – and I have to say it usually works. I’m on a tight time line tonight. I’m planning to watch the second part of BBC1’s Great Train Robbery dramatization this evening. Last night we saw it from the gang’s viewpoint and tonight is the turn of the police and the story of tracking them down. I was a child when this robbery took place and nothing like it had ever happened. £2.5 million was an amazing amount of money (£40 million in today’s terms apparently). Of course when you live and event through the news it’s pretty one-dimensional. It was only with the advent of films like Buster in the late eighties did we begin to get a feel of the more human side. In 2012 there was a really good drama – Mrs Biggs – which told the story of the robbery and its aftermath from Charmaine Biggs viewpoint. And how spooky that the end of Ronnie Biggs’ life should coincide with the film being shown. 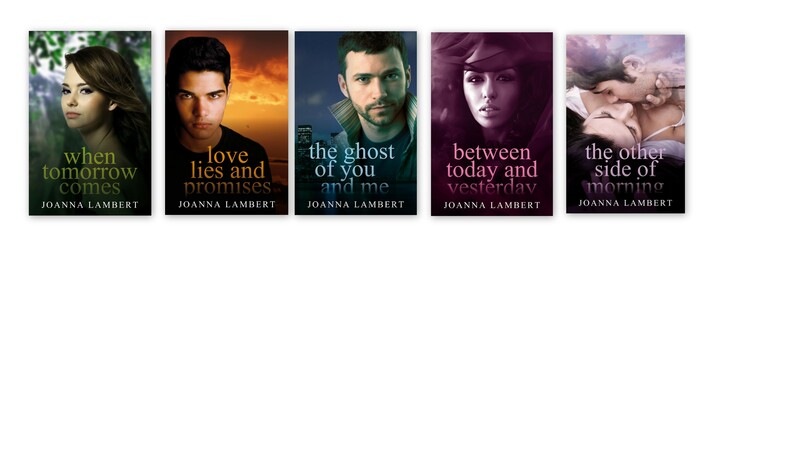 This week my writing has sort of skidded to a halt. I’ve been dipping in and out of the draft and am currently working on Chapter Seven but have had so much else going on that the opportunity to sit for anything more than an hour in front of the PC screen hasn’t been possible. There’s been lunch, a double dose of the dentists (hygienist plus dentist), food shopping and to eclipse all of that my OH has gone down with flu and has been pretty poorly. I guess at the moment I don’t really have the drive I need to be getting on with it. My current book is waiting on final editing and I think until this comes back and goes for publication I’m going to be distracted. However, I have made progress from that daunting first blank screen so there is a positive vibe there! This week has also been one of interruptions. I had one phone call from a call centre informing me that I had money coming to me from an accident I’d had within the last three years. Money waiting for me I was told. You’ll be wanting my bank account details then? Oh no, no they didn’t the woman back peddled furiously. ‘We just want to make sure it gets to its owner.’ she assured me. The fact no one in this household has met with any accident was something she didn’t seem to be able to deal with. ‘Are you sure?’ she asked. However when prompted by me for more detail she was not about to reveal exactly what sort of accident had taken place, who had been the victim and when it had actually happened. Needless to say the phone went down pretty quickly. Then this afternoon Talk Talk phoned. I took the call because they are my phone and internet provider. First the girl at the call centre asked me if I’m happy with the service. Well yes I am I told her although a reduction in the monthly cost would make me even more happier. Well she said, ignoring my request, in appreciation of being a long-term customer they wanted to give me a viewing box – free! So this really is the season of goodwill – people on the phone wanting to give me presents. Only thing is we’re sorted for TV and don’t want this at all. I tell them this so you would expect them to thank me and terminate the call wouldn’t you? Oh no, I’m practically put in a verbal arm lock. The parting shot was that I should think of the gift as something personal from her to me and Merry Christmas. Some way of reducing my monthly bill for my loyalty would be even more appreciated I say again – obviously to deaf ears. The phone went down again even as she was trying to find another reason to foist this box onto me! I actually got into a face to face situation like this on Tuesday (it must be my week to be pounced on by these people). I’m in town on my way to meet a friend for lunch. A very pleasant individual whose badge declares he is Ryan, wearing a high viz vest for some or other charity and clutching a clipboard ambushes me as I’m walking through. ‘Sorry,’ I tell him, ‘I’d love to stop but am on my way to lunch.’ That doesn’t cut it with him. He starts to tell me about the charity he represents which works all over the world helping out in deprived areas. I’m edging away all the time but it seems he’s coming with me as if we’re tied by some invisible thread. It struck me during the short conversation we had that these guys look very personable and innocent but boy are they primed well. Every and I do mean EVERY answer you give is countered by something from them which is guaranteed to hold you there. I usually ask them for information I can take away but of course this guy didn’t have that because they have to keep their costs down. The crunch is he’s after money to support this charity, not just a couple of quid out of your pocket but a standing order for regular support and he thinks you’re going to be dim enough to sign up there and then and hand over your bank details. In the end without being rude I turned the tables on him by saying it was nice talking to him but I was actually meeting someone and I was sure he wouldn’t want me to be late and keep them waiting. Yes I really am polite aren’t I? Something really interesting turned up on the net this week. I was having a bit of a nostalgic moment and typed the name of my old junior school into the search engine. Well, what a surprise. I found they have a quite impressive website. I also found a photo of the school. No I’m not in it, it was taking way back in 1880 (a bit before my time). But it was lovely to see the old building which hadn’t changed very much by the time I was being educated there. Woodborough C of E Primary School is still very much attached to the church. It has been extensively expanded over the years and bears no resemblance to the photo here. 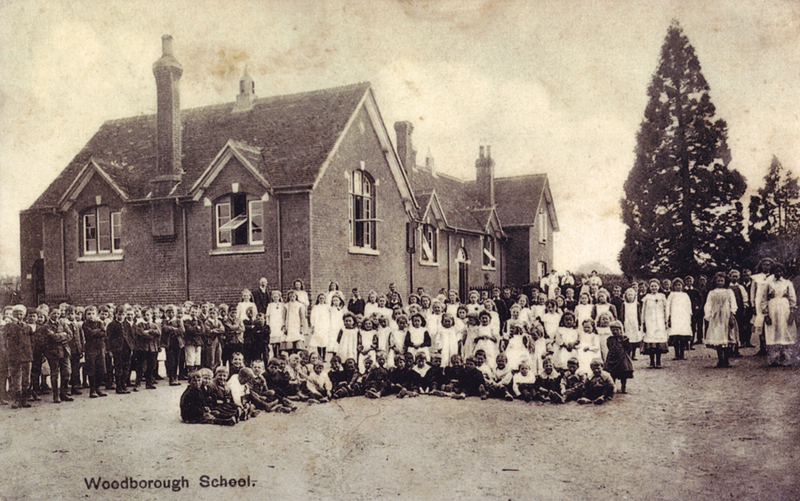 Years ago most of the villages around were too small to have their own school and so Woodborough became the educational hub. Where I grew up in nearby Beechingstoke we had no pub, no shop or post office – a farm, a church and three substantial houses which the few cottages surrounded and that was it! We had two nearby stations within a 45 minute walk (before Dr Beeching of course) and the daily bus service ran to four trips a day into the nearby market town of Devizes. So Woodborough which was around a twenty-minute cycle ride away was where us kids went. In those days you could actually cycle to school unsupervised by an adult and be safe. This makes me realise how much the world has changed. What has also changed is the fact that we had three teachers in the school. Miss Lloyd took the Infants, Mrs Stanton the Juniors, and Mr Turner the headmaster looked after the most senior pupils, guiding them through their 11+ examination year. Now the school boasts 20 teachers and as I mentioned above the original building has been the subject of a huge number of extensions. Well, I had every intention of completing this blog on Friday morning but that just did not happen. Very much the road to hell is paved with good intentions where I’m concerned. So here I am sitting in front of the PC on Sunday morning to finish off before we leave to lay wreaths, deliver presents to far-flung friends and meet in a local pub for lunch. Blue skies today and a respite from all that rain and wind which according to the weather man will be back again tomorrow. How I long for summer! Since my original Thursday evening entry, my writing has picked up again – I should be wise to the fact by now that this will happen. Anyway the story is now flowing onto the screen and going very well, I’m 32,000 words in and counting. Oh and by the way, the Great Train Robbery two-parter was great! Another example of how the BBC do drama so well! Right that’s it, I’ll have to leave you now or I’ll never make the pub in time for lunch – table is booked for 1.15 and there’s a lot to do before then. I will catch you all again before Christmas. In the meantime have a good Sunday everyone.